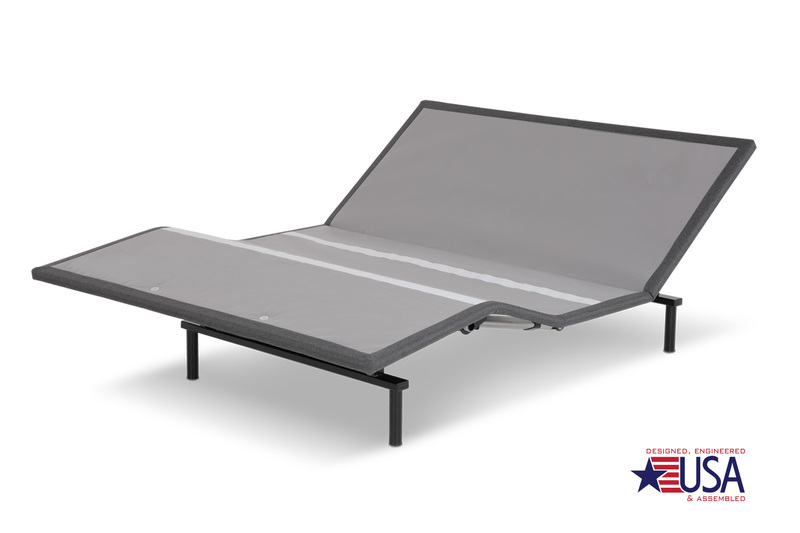 The Raven adjustable bed base by industry standard-bearer Leggett & Platt combines surprisingly robust features with an affordable price-point, making the adjustable bed a crowd-favorite and phenomenal value. The Raven's “one touch flat” feature returns you to a completely flat position quietly and quickly, at one touch of a button. 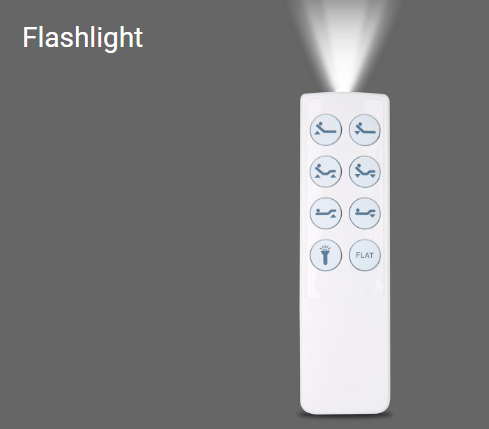 Plus, if you forget something after the turning off the lights, just grab the Raven's convenient remote and use the convenient built-in flashlight feature to find your way. And while you're awake anyway, take a minute or two to practice your shadow puppets. 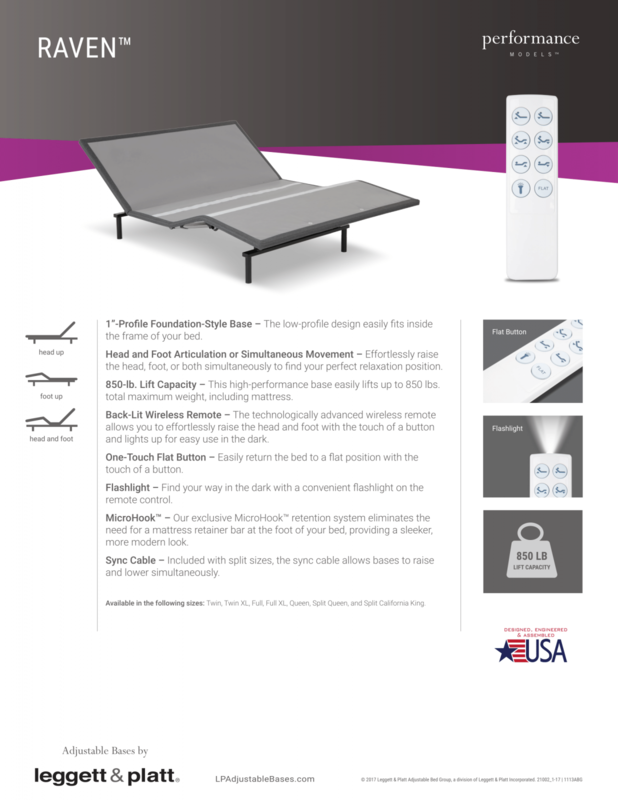 Say “nevermore!” to sleepless nights and finally discover comfort that's “just right” with Leggett & Platt's Raven. The Raven base has a generous amount of features and technology for the price. Leggett & Platt’s Raven model base is covered by the generous 1-3-25 year warranty offered by Leggett & Platt for all their foundations.